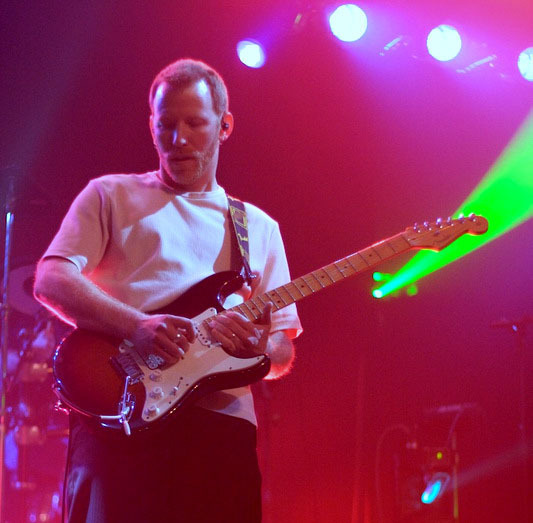 After having played guitar and sung in several bands throughout his musical past Kevin found himself striving to focus his energy on his biggest musical influence – Pink Floyd. However, only playing the music of Pink Floyd wasn’t enough. One acoustic performance of a montage of Floyd tunes lead to the formation of a Pink Floyd tribute night at Piere’s nightclub in Fort Wayne, IN. This tribute required the birth of the tribute band Earthbound Misfits. A single performance still did not seem to satisfy his need to pay tribute. A follow-up performance by Earthbound Misfits occurred several months later (now including Daniel Fisher). Even though the Misfits separated to pursue other musical ventures Kevin and Daniel continue to collaborate in what is now Pink Droyd.